This battery-operated fan can run up to 40 hours on one set of batteries. Now you can enjoy a refreshing breeze on hot, muggy days either indoors or outside with this great O2Cool fan. 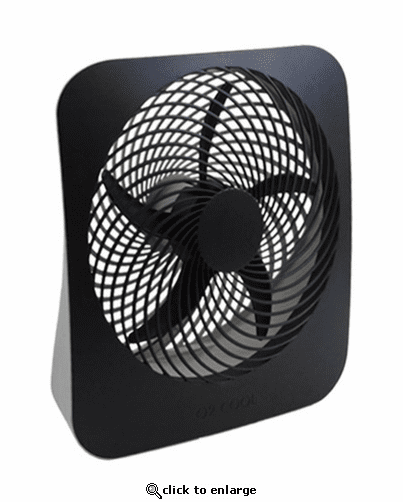 Featuring 10" blades, this O2Cool fan generates an amazing amount of power for its compact size. It has a sleek design and can be stored easily. 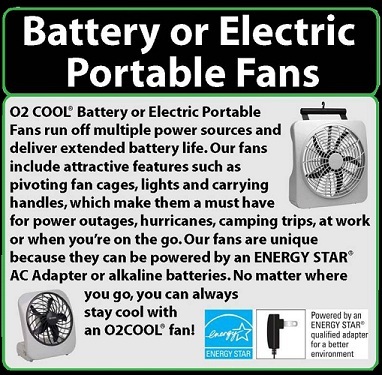 The O2Cool Battery Operated Fan 10" is great to have in an emergency, during blackouts, camping, sailing or just being outside in the heat.